Newsquest, publisher of over 300 titles including the York Press, Lancashire Telegraph and Northern Echo, has confirmed today that chairman and chief executive Paul Davidson is to step down. A spokesman for US parent company Gannett told Sky News that Paul Davidson, who has led the newspaper group since 2003, is preparing to leave. “Paul is in the early stages of planning his retirement," the spokesman said. Newsquest has hired The Lygon Partnership to oversee the search for a new boss, with internal and external candidates reportedly under consideration. 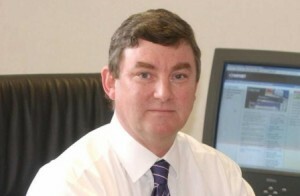 Davidson, who joined Newsquest in 1988, is the longest-serving of the chief executives of the big four regional publishing groups. Last year he was paid £612,000 as Newsquest made an operating profit of £58m. Other regional titles published by the group include the Wirral Globe, Warrington Guardian and Westmorland Gazette.